What outstanding value at $715,000! 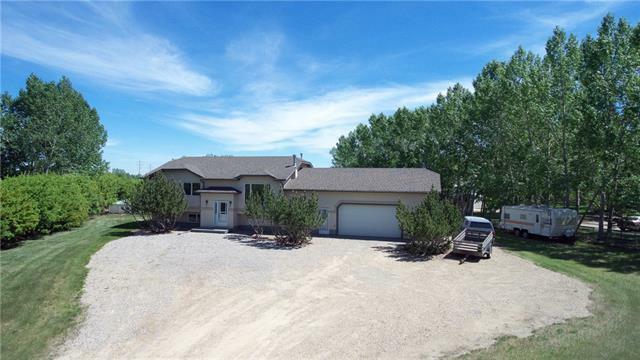 Acreage living w/gorgeous mountain views & city conveniences a few short mins away. 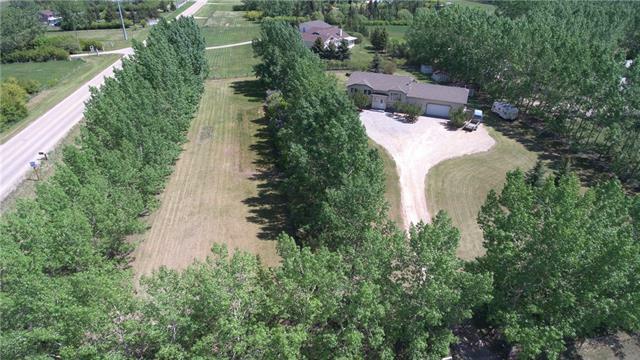 Wonderfully maintained, affordable acreage between Calgary & Airdrie w/easy access to airport. 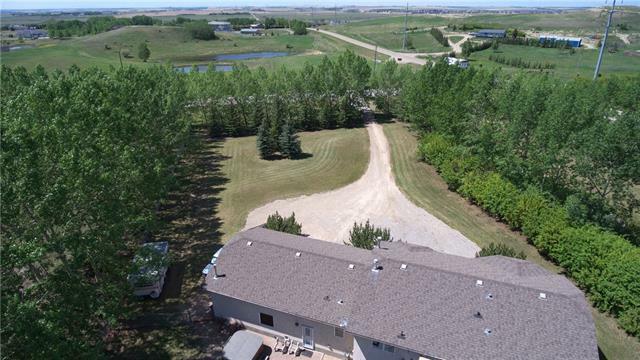 2 acres w/tons of mature trees, a large shed (10x16), oversized double heated garage (26x29+additional 9x11 area, 11 ft ceilings) w/220 electrical & hot/cold tap. 1455 sq ft bi-level has 3 good sized bdrms up. Master has 3 pc ensuite & walk in closet. 2 more bdrms up, a common bthrm+1/2 bath. 1/2 bath, laundry & mudroom off the garage entry. Kitchen has vaulted ceiling, SS appliances, lots of cabinets/drawers, under counter lights & a spacious nook. Family rm has gas fireplace, hardwood floors & large windows. 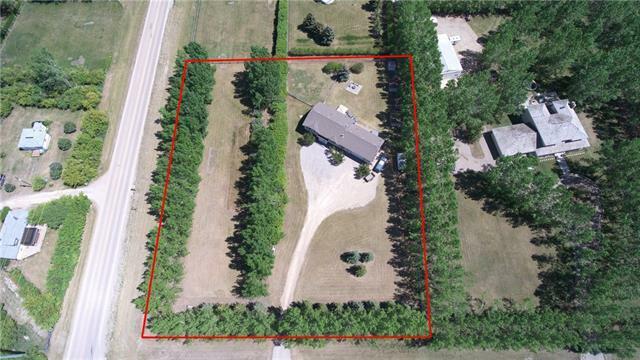 Alarm system, central A/C, central vac, is fenced & cross fenced, on Rocky View Water Co-Op & has new septic field (2017). Bsmnt is bright & part. dev W/family rm, pellet stove, roughed in bath + 4th bedroom.